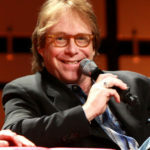 Charles William Mumy is an American actor, musician, pitchman, instrumentalist, voice actor, author and a figure in the science-fiction community. He came to prominence in the 1960’s as a child actor, when he was credited as Billy Mumy, an era which included memorable appearances in The Twilight Zone and Alfred Hitchcock Presents television shows, as well as co-starring in Dear Brigitte with James Stewart and Brigitte Bardot, followed by an iconic three-season role as Will Robinson in the 1960’s CBS sci-fi series Lost in Space. "I have great respect for directors who know what they’re doing."